Clementine is a small neighbourhood place on Ensley, just off of Santa Monica (more or less right across from the Century City mall). They typically feature ingredients from local farmer's market. 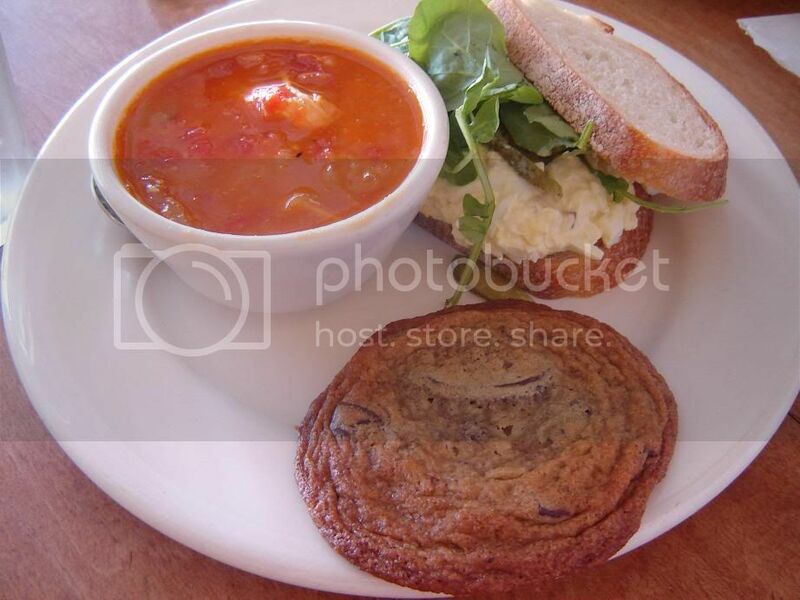 Clementine's is simple lunch fare: salads, sandwiches, and soups. 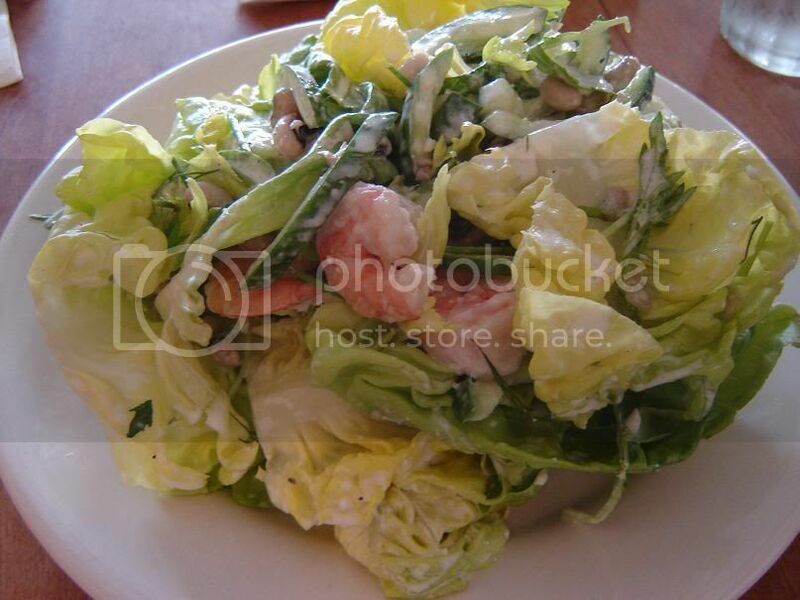 Their cold deli case usually features a wide variety of specialty salads and more. 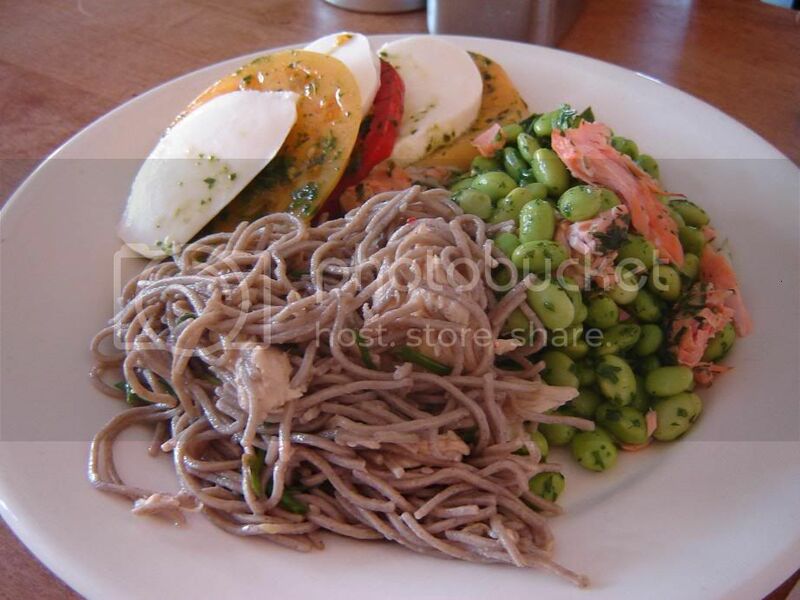 This time around we got some edamame with king salmon, caprese, and chicken soba noodles. A plate of 3 items like this is $11.95. All were fresh - refreshing and quite delicious, even the soba noodles that I was originally skeptical of (I'm skeptical of Soba from a non-Japanese place). The ingredients used were all great, although I'm still not sure about the combination with the beans. My favorite part of Clementine's is actually all the soups, which you can buy frozen by the pints! You can also eat it there, or get a sandwich/soup combination. Their egg salad sandwich was delicious. I got a pint of frozen chicken tortilla soup to go - made for a few delicious lunches throughout the week! Good Thursday to you Burumun. It's always good to know of a decent quick place for a casual lunch. I see you had the chocolate chip cookie. So good! They also have a section of packaged items to take home and bake, like pasta, mac and cheese, and an amazing chicken pot pie. Great Chefs of LA. Great Food, Great Fun.